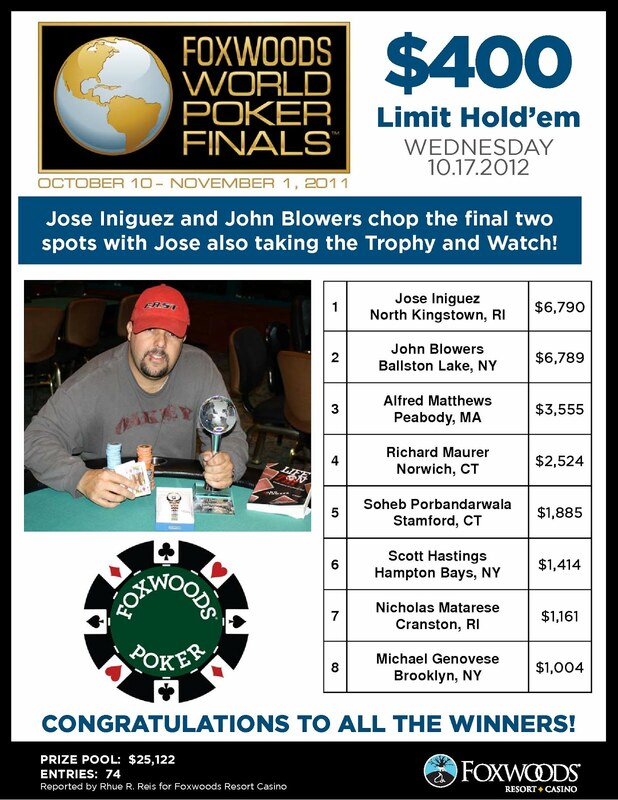 Jean Joseph, winner of the $400 No-Limit Hold 'em event. 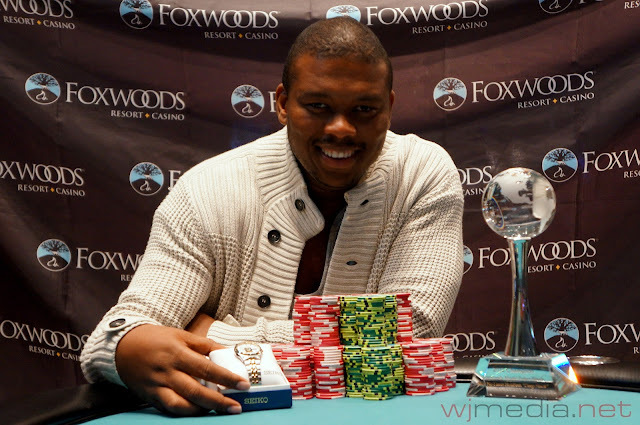 After a heads-up chop, Jean Joseph is officially the winner of the $400 No-Limit Hold 'em event. 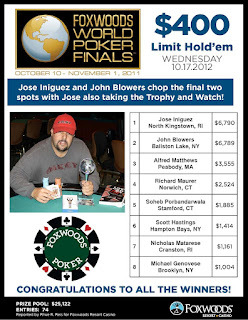 Joseph takes home $18,394 plus the World Poker Finals Trophy and Watch. 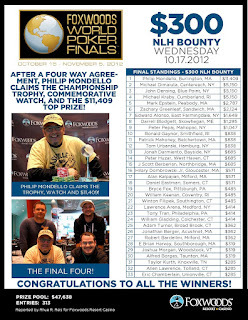 Play has resumed after dinner break in the $500 No-Limit Hold 'em Bounty tournament. 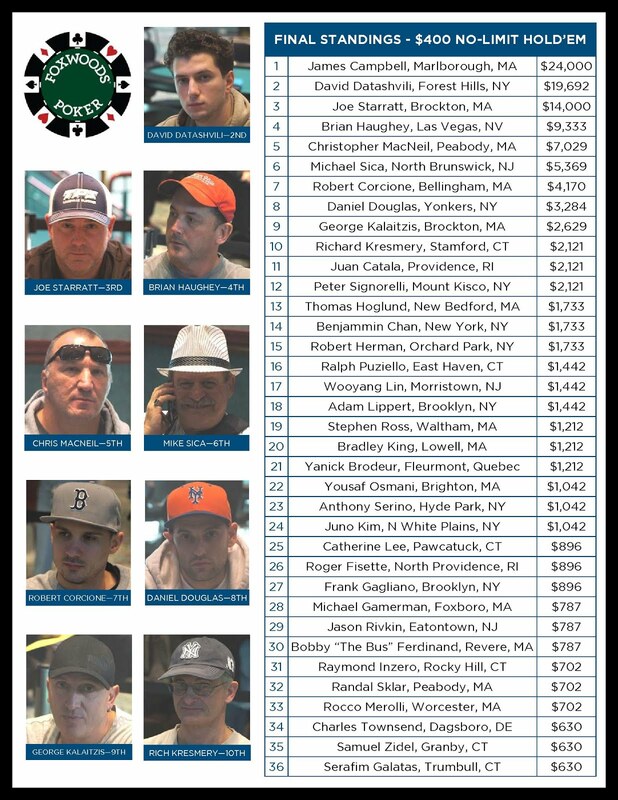 With 85 players remaining, the average chip stack is now 53,400. Down to 5 in the $400 No-Limit. 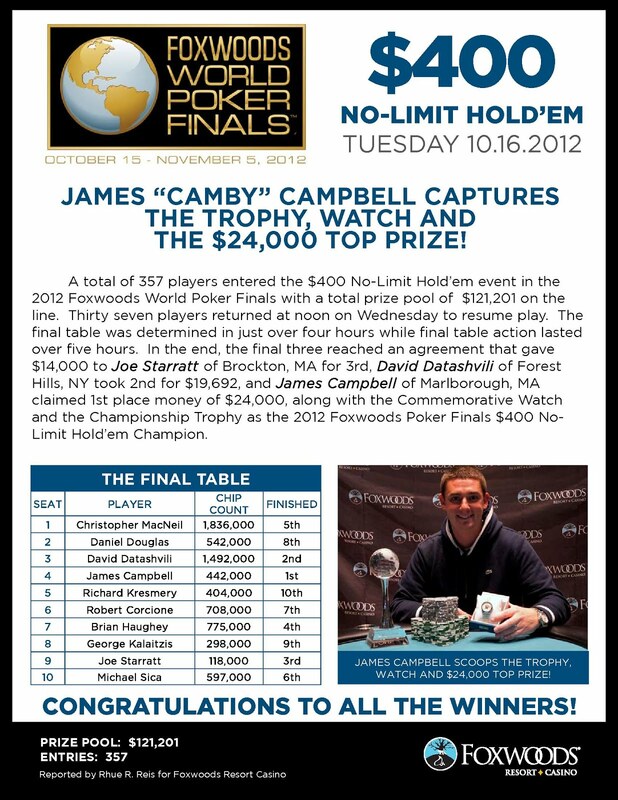 Watch the live at FoxwoodsLive.com. We are now five-handed in the $400 No-Limit Hold 'em event. 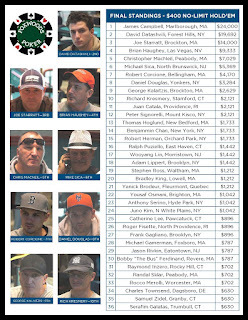 We had a total of 151 players in today's $400 Omaha H/L Eight-or-Better event at the Foxwoods World Poker Finals. 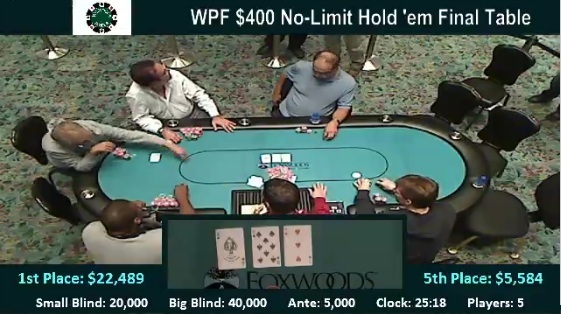 We have reached the final table of ten in the $400 No-Limit Hold 'em event. We had a total of 227 players in today's $500 No-Limit Hold 'em Bounty event at the Foxwoods World Poker Finals. 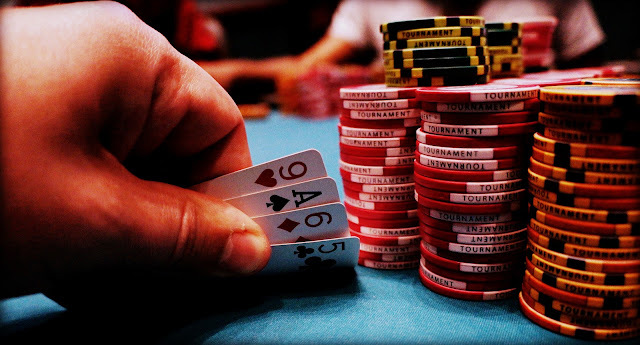 Cards are in the air on Day 2 of the $400 No-Limit Hold 'em event. There are 30 players remaining. The live stream will begin shortly.